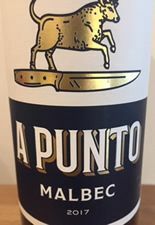 A Punto Malbec Vino Tinto - With intense aromas of mulberry and plum, and a rich, smooth palate packed with tipe fruit and just a hint of spice. Acustic Celler Ritme Tinto Cepas Vella - A great example of modern Spain. Bright berries, a touch of oak and fantastic balance. Alaia Dehesa De Rubiales - Produced from the Prieto Picudo grape, indigenous to the León province. Anima de Raimat Tinto - The nose shows developed aromas of black fruits mingled with cocoa and mocha, underlain with spices including pepper, nutmeg and clove. Apendre Merenzao Ronsel do Sil Ribera Sacra - Light in colour, spiced red fruits notes, rose, violets, granitic and ground pepper. Fresh, fine and subtle. Quite simply, delicious! Ardiles Priorat - This is a Priorat classic. ‘Sweet mulberry fruit is surrounded by herbal notes of thyme and fennel and underpinned with a hint of vanilla. Artesa Organic Rioja - rich, ripe plum and cherry characters combine with spice and gentle tannins. Artesa Rioja Crianza - A forward and attractive modern style of Crianza with fresh plum and red berry aromas complemented by spicy vanilla oak. Artesa Rioja Tempranillo - A youthful, fruity red with a deep ruby colour and ripe, red berry aromas. Soft, easy drinking style with ripe plum and cherry fruit on the palate. Barbazul, Huerta de Albala - This blend of 50% Tintilla de Rota, 35% Syrah, 10% Merlot and 5% Cabernet Sauvignon is aged for 5 months in one and two year old French Allier barrels creating a vibrant and very individual red. Barbazul Seleccion Especial - Complex aromas of red berries, fig and fresh herbs. Bhilar Plots Rioja Tinto - Intense notes of jammy ripe fruit, forest fruits and a fine mineral character. This is silky, full and round with a fresh acidity, integrated oak and a long finish. Bobal de Sanjuan Tinto - Red fruits, violets and spice in abundance. This wine has great depth and is well rounded. Bobos Finca Casa La Borracha Bobal - Top class Bobal from this boutique winery. Bodega Biniagual Memories Negre Mallorca - An approachable red with bright aromas of wild red berried fruits combined with a subtle hint of spice. Bodegas Borsao Seleccion Barrica - Deeply chocolatey Garnacha rounded out with a lick of oak, this seems fairly straightforward but Ive drunk gallons of it now and keep finding new corners of delight and spice and interest! Bodegas Borsao, Seleccion Tinto - Consistently great and much applauded Garnacha from the famous Borsao. Bodegas El Nido, El Nido - From the eponymous winery El Nido - this is the older brother to Clio - intense, voluptuous and complex. Bodegas Juan Gil 18 Meses - Juan Gil Blue Labe is another powerful red from the masters of Jumilla Monastrell! Pronounced nose of black fruits, spice box with some balsamic, earthy characters.